Holidays can sometimes be short and you may not have time to cycle on a full seven day tour or you may just need to escape the city and enjoy the peace of a weekend in the country. 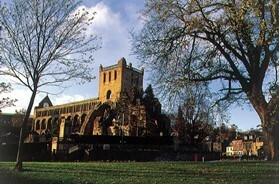 Our short breaks in beautiful Scotland are just what you need and are very competitively priced. They can be taken at any time of year and any days of the week. 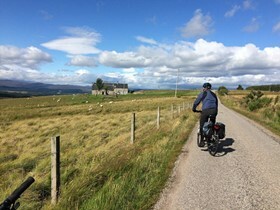 We offer accommodation, bikes and routes at three popular towns, Pitlochry, St Andrews and Inverness and we can organise similar breaks in other mainland parts of Scotland on request. There are forest trails, mountain paths and quiet minor roads within easy reach and the routes are suitable for all grades of cyclist including families. 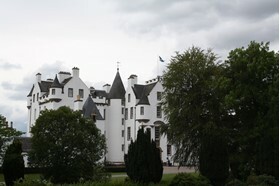 This bustling Victorian resort town is centrally placed for exploring the scenic beauty of the Perthshire Highlands. 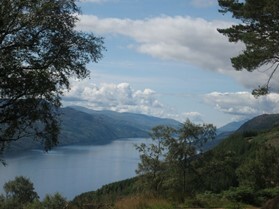 Loch Tummel, Rannoch, Blair Castle, Killiekrankie are just some of the beautiful places within easy reach. Well known as the “Home of Golf”, St Andrews also offers the visitor a host of other interesting things to see and do.The town itself enjoys a wonderful seaside setting in St Andrews Bay, with two excellent beaches and a small harbour. The sense of history is all around and is illustrated by the fine buildings of the ancient university and the ruins of the Castle and massive Cathedral built in the 13th century. This 4 night circular tour is an ideal short break for exploring Loch Ness in the Highlands of Scotland, one of the most popular holiday destinations in the UK.Your route follows the Great Glen Cycle route to Drumnadrochit and Fort Augustus, returning to Inverness via the south side of Loch Ness. There are many spectacular views to be enjoyed along the way with splendid panoramas of the Loch as well as historical and natural heritage sites to be discovered. 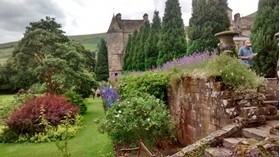 The Scottish Borders is a unique mixture of rolling heather-clad hills, quiet river valleys, sprawling green forests and diverse, unspoilt landscapes. Explore its traffic free roads and quiet country lanes on a journey through history visiting ruined abbeys, castles and stately homes.